IRS audits and state audits are intended to be used by the government to verify that taxpayers have correctly reported their tax obligations. The type of audit varies based on the size and complexity of the potential tax issues and the taxpayer. There are several different types of audits, including correspondence audits, office audits, field audits, and large case audits. Correspondence and office audits typically focus on itemized deductions for taxes, interest, charitable contributions, and medical expenses that were deducted. The IRS conducts these audits from several different service centers located throughout the U.S.
Field and large case audits focus on business income and expenses and are usually conducted at the taxpayer’s home or office. 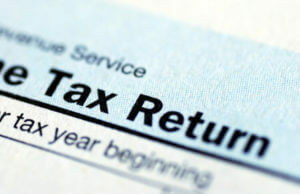 Most audits start with a letter from the IRS asking the taxpayer to contact the IRS to schedule an opening conference. The audit then focuses on information gathering and concludes with the issuance of a revenue agent’s report (with a 30-day or 90-day letter) or a no change letter (or, in the case of a refund claim that is being audited, a claim allowance, disallowance, or partial disallowance letter). Correspondence and office audits may not include an opening conference–so the IRS may skip straight to asking for specific information or answers. In some cases, the IRS may simply issue closing reports without conducting a full audit in these smaller cases–leaving it up to the taxpayer to note any disagreement with the IRS’s findings. There are a number of legal, procedural, policy, and other requirements that must be followed by the IRS and the taxpayer during the course of the audit. It is imperative that the taxpayer follow and/or enforce these rules or, as a matter of strategy, not follow or enforce some of the rules. Most audits focus on large, unique, or questionable items reported on the tax return or items that are missing from the return. In some cases, the audit may even be limited to a predetermined issue or issues or type of tax (such as withholding, excise, employment, estate and gift taxes). There is no substitute for experience in conducting and managing audits. This is not an area for novices or others who do not handle audits regularly. An experienced tax attorney who regularly handles audits should be engaged to handle the audit.